This wholesale Chupa Chups CDU contains an assortment of 200 popular flavoured lollipops your customers will love! The colourful, eye-catching lollipop wheel is topped with the distinctive Chupa Chups logo, sure to make a big impression. The flavoursome lollipops are also suited for vegetarians, gluten free, egg free, peanut free, soybeans free and nut free. Here at Harrisons Direct, we're an established wholesale sweets supplier: providing sweets and confectionery to customers nationwide. Our vast range of wholesale confectionery products includes branded sweets, pound lines, penny sweets, lucky dips and more. 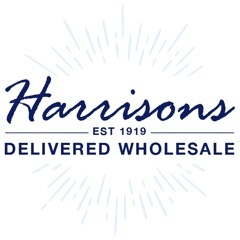 For more information on our range of wholesale Confectionery, call us on 01254 306840.